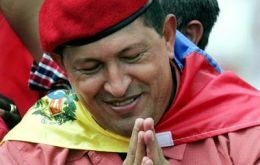 Venezuelan president Hugo Chavez has threatened withdrawal from the Organization of American States, OAS, if Venezuela is condemned over the case of the private television station, Radio Caracas Television, RCTV. 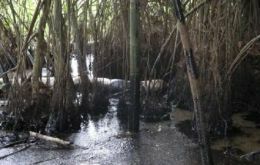 Ecuadorean President Rafael Correa went deep into the Amazon jungle to show his disdain for Chevron Corp., which is on trial in Ecuador for allegedly failing to clean up billions of gallons of toxic wastewater. Latin American governments should increase social spending while maintaining sound fiscal policies to reduce poverty and growing political dissatisfaction in the region, IMF Managing Director Rodrigo de Rato said at a conference in Boston.